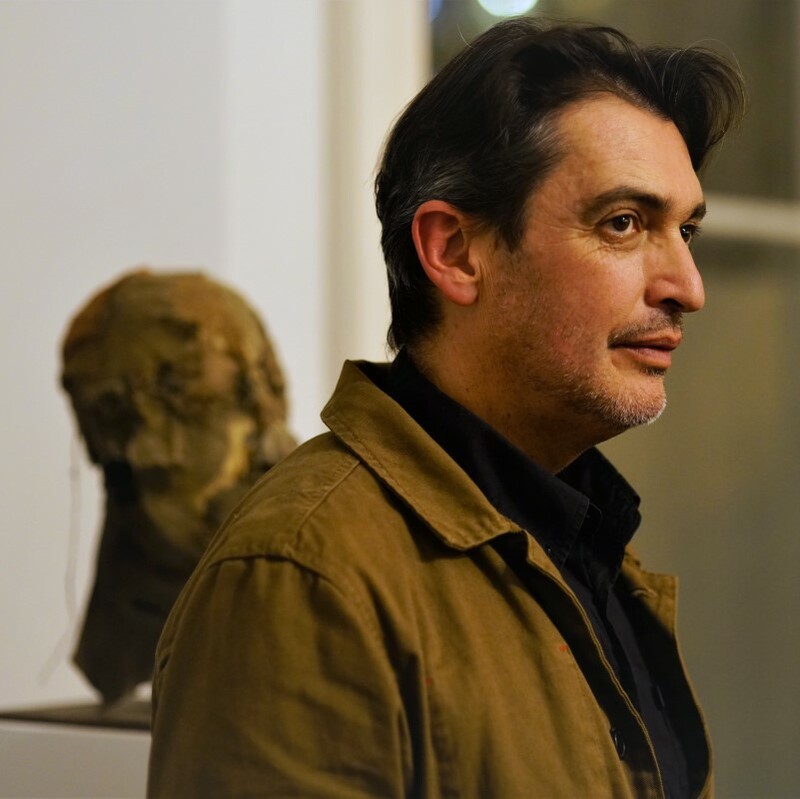 The Baldwin Gallery presents a new exhibition of the mestizo art of Colombian artist, Carlos Zapata, which engages equally the riches and horrors of history to express a plural unity. In a polarised time, when everyone is arguing about identity, we have overlooked the inclusive, flexible tradition of mestizo Latin America, which fuses colonial, indigenous and slave cultures to transcend national and historical boundaries. Folk and tribal art meet Christian iconography and merge spiritual and political realities. Fetish and icon become interchangeable. War is paired with the intimate and supernatural. The rough burlap jacket of Zapata’s sculpture Shaman Protector drips with protective talismans that remember the brutal era of Colombian kidnappings. But death is understood environmentally, as the first ingredient of life: beside a wooden carving of a pale blue corpse, a tree sprouts green leaves, and Saint Rabbit’s human breasts and pregnant belly glisten with silver leaf. Carnivalesque, rough-hewn and deceptively simple, even toy-like, the art of Carlos Zapata is at once celebratory and unflinching. 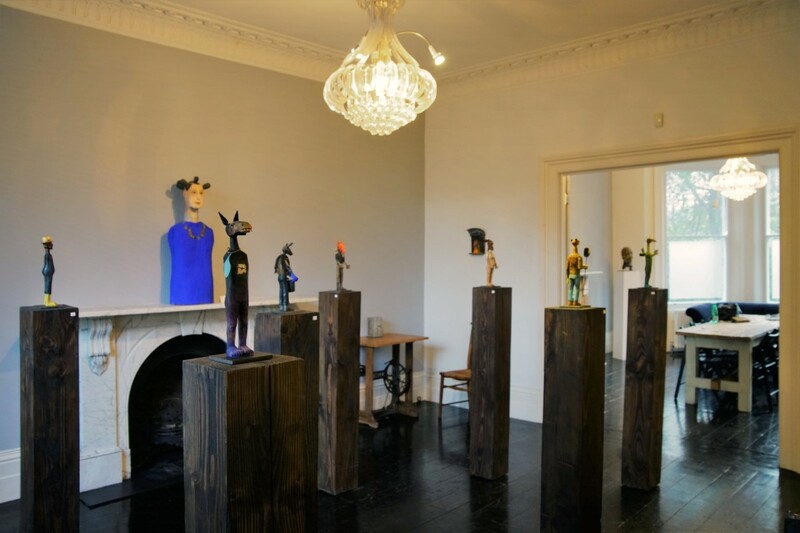 Growing up in Colombia during a violent civil war, and raising his own son in bucolic Cornwall, England, Carlos Zapata creates intimate and emotive sculpture, which, while belonging to the tradition of Folk and Tribal Arts, has evolved from personal experience. His Automata are deceptively simple, elegant machines, infused with joy and playfulness, and their lightheartedness allows us to confront honestly the dark side of their subjects. In Diamonds Are Forever, on the upper story of a human-headed ‘house’, a woman receives a diamond from her suitor; meanwhile, down at the base, the exploited labourer chips relentlessly at a stone. Among Zapata’s still series, Child Soldiers holds his memories of war and its terrible exploitation of children, and Iconos: Sagrado Y Profano explores the graft behind the religious icons of his youth. 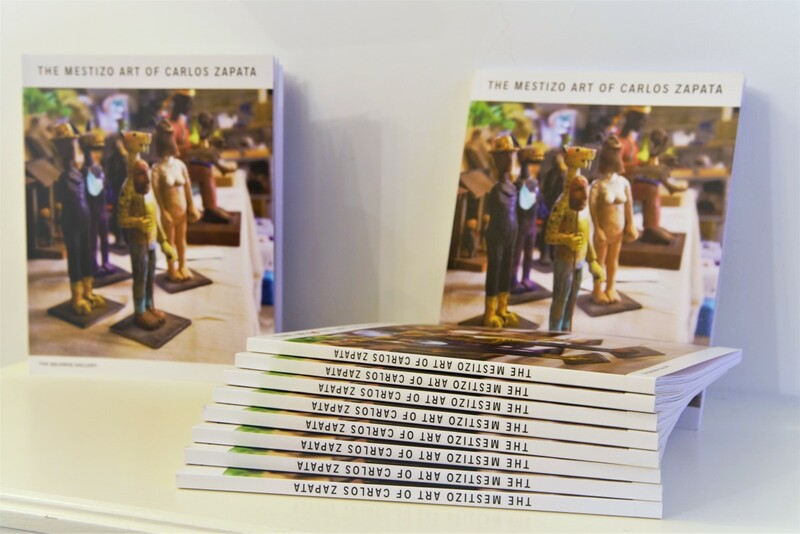 Worthy of Belief: The Mestizo Art of Carlos Zapata, 20 Oct – 20 Nov 2018, brings a couple of dozen works of Zapata to a London audience. They creatively blend native naïveté and a critical thought collaboration of indigenous belief and colonial religion on subjects that are common to all humanity – birth, death, loss, and liberation.